Contractor Henry Warren was hired to haul supplies to the forts in West Texas. On May 18, 1871 Warren’s wagon train, heavily laden with corn, was traveling the Jackson Belknap Road towards Salt Creek Crossing. Along the trail they briefly encountered the famous General William Tecumseh Sherman. Within an hour of this brief encounter a large group of riders was spotted in the distance ahead, appearing to be Kiowa warriors. Warren quickly placed the wagons in a circle, mules in the center. 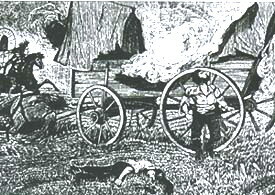 The Warriors efficiently attacked the circled wagons, killing then mutilating seven of the wagoners. 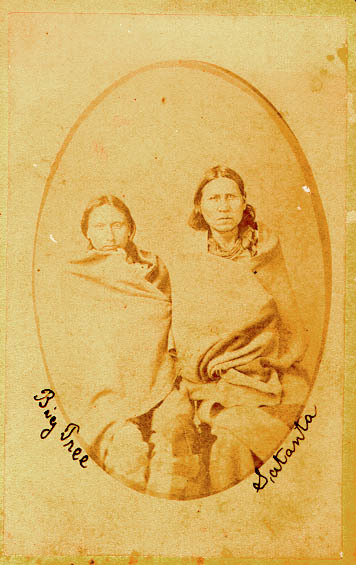 The leaders of the Kiowa warriors were Satana, Satank, and Eagle Heart. They had watched the Sherman party pass by from their hidden post, but had not attacked. The previous evening a Shaman predicted that the relatively small party would be shortly followed by a larger party with more reward. The raiders lost 3 men but in the end of the raid captured 41 mules’ carrying many supplies as the Shaman had prophesied. Previous postFort Sissaton Time is Near!! !